The gap between rich and poor is a global problem, but how do policy makers measure, track, and evaluate inequality? You don’t have to look hard to find news stories about the ever-widening gap between the rich and the poor in America and the effect it has on the stability and economic health of the nation and its citizens. This is troubling for a number of reasons and calls into question the American dream which depends on the idea that social mobility exists in society. Social mobility is the movement of people within or between layers or classes in an open social system. But this isn’t only a problem in America. Global inequality also remains high. The financial gap between the rich and poor in most countries is higher than it has been in 30 years. On average the richest 10% earn 9.6 times more than the poorest 10% in today's economy and the ratio is continuing to rise. Growing financial inequality is due not only to the increasing wealth of the top earners, but also to the decline in wealth of the lower 40%. The eventual consequence of large income gaps between rich and poor is usually a decline in the economic and social health of the nation and most of its people. 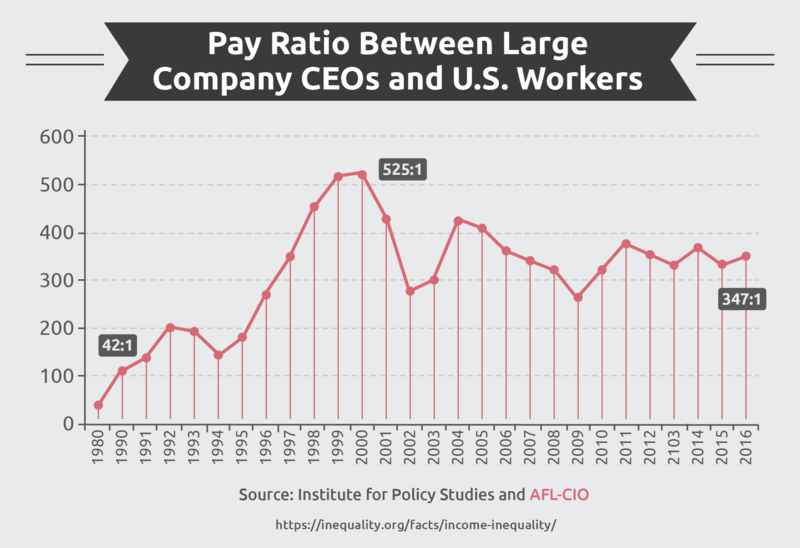 There are many ways to measure inequality. One way is the Lorenz Curve. This is used by economists to measure what portions of the population are responsible for the total income. The curve helps you measure and make statements like 10% of the population accounts for 80% of the income. Divide the area above the curve by the area below the curve to get the coefficient economists use to compare countries. 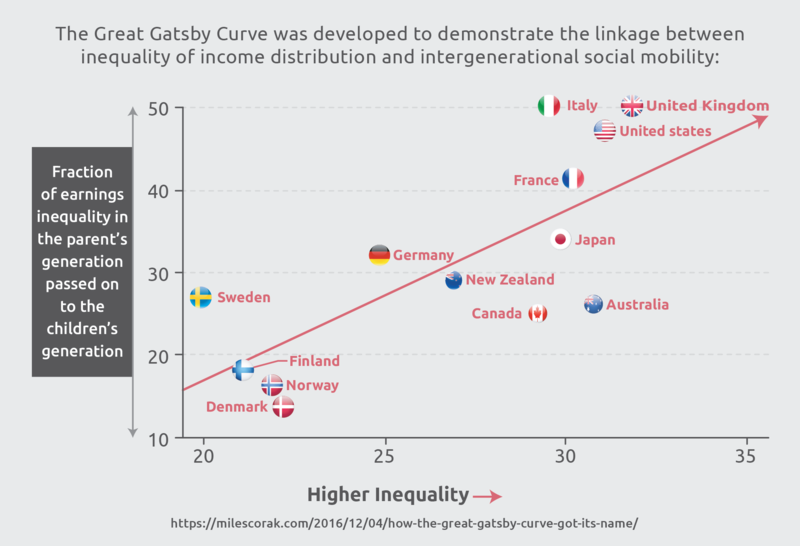 The closer the Lorenz Curve comes to a straight 45-degree line, the more equally distributed the income is. 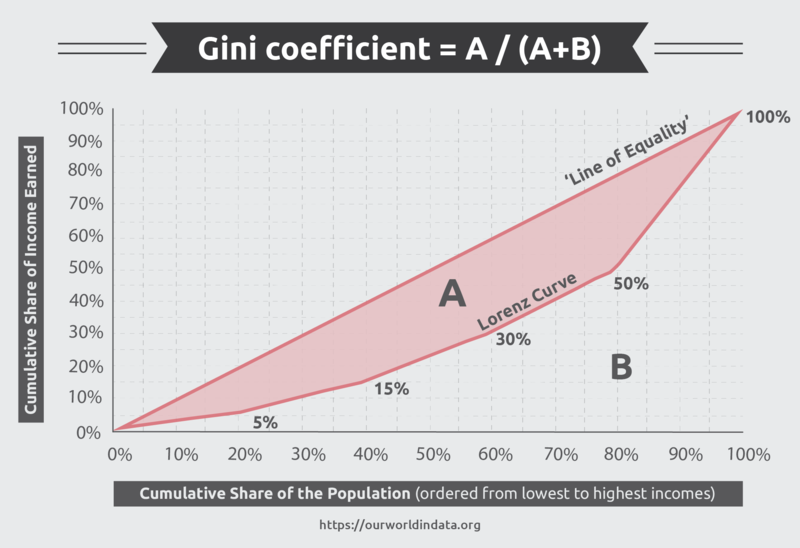 Developed by statistician Corrado Gini in 1912, the Gini Coefficient is a mathematical formula to determine the inequality of income distribution among the population of a nation or group. This information is especially useful in developing governmental policies and laws that affect international trade, national growth and economic stability. 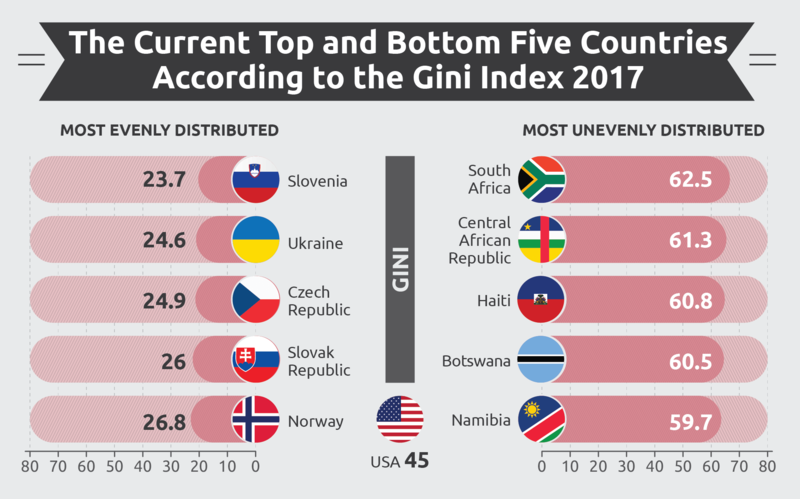 The World Bank's estimate for the US in 2017 is 45, making America the 38th most unequal country in the world based on the CIA-recognized Gini index.